Hair growth shampoos and hair loss shampoos are in-demand. The American Hair Loss Association reports that, by age 35, approximately two-thirds of American men are going to suffer some degree of hair loss. This only gets worse as men age: By age 55, some 85% of men will experience noticeably thinning hair. Men aren’t the only ones affected by hair loss, contrary to popular belief. Women, too, suffer from this condition. According to WebMD, 40% of women will suffer visible hair loss by their 40th birthday. Hair growth shampoos are treatments that can reverse hair loss and, with it, the adverse, psychological impact of thinning hair or outright hair loss. Overall, the hair loss product market can be broken down into two, broad categories: those that contain drugs and those that are drug-free. Drug-based treatments are very straightforward. They contain substances that are regulated by the Food and Drug Administration (FDA). As a result, they come under the jurisdiction of regulatory bodies. Examples would be Propecia and Rogaine, both well-known brand names in the market. Products like these come from huge pharma companies and are the direct beneficiaries of tens and even hundreds of millions of dollars worth of research and development, compliance, production and advertising. Since drugs have the capacity to significantly change your bodily functions and can cause threatening and undesirable side effects, there’s a need for the government to protect consumers via tough regulations. In contrast, drug-free hair growth shampoos… are free of controlled substances. As a result, they’re not dangerous for you if you use them as directed. In theory, manufacturers can market these products to consumers however they want, but there are still strings attached. This builds a healthy and favorable environment to help you grow new hair. While hair growth shampoos can be very effective, you need to remember that there’s no such thing as a “miracle” shampoo; this applies to both drug-based and drug-free shampoos or treatments. Truth is that no shampoo will 100% succeed in restoring your hair or stopping hair loss. There are limits to what they can do and what they can’t do. Any manufacturer that claims otherwise should be met with skepticism. That brings us to claims and disclaimers surrounding drug-free hair growth shampoos. Because there are a lot of products in the crowded marketplace that claim they can regrow your hair, it’s a necessity for the legitimate ones to have disclaimers on their websites. Essentially, these disclaimers state that the products haven’t been evaluated by the FDA and so can’t be guaranteed to provide the benefits they claim to provide—at least not from the standpoint of the regulators. This all boils down to something called claim enforcement. Claim enforcement is when big pharma and the government want to ensure that specific claims about a certain product’s guarantees and benefits for hair growth are aggressively protected. The thing is that these big drug companies have shelled out millions and even billions of dollars to research, develop, market and then sell a drug-based product that consumers want. Therefore, they will do everything in their power to protect and guard their products against any drug-free alternatives. The kicker is even if said alternatives are cheaper and safer for consumers, while also achieving the same goals for them! This is the crux of claim enforcement, which is really about claim ownership and claim protection from the perspective of the big drug companies. That’s why legitimate hair growth shampoo makers like Veta have these disclaimers on their websites. Veta has tested and experienced the effectiveness of its active ingredients present in its formulas. While it’s comfortable talking about and clearly messaging these benefits to consumers, it’s also serious about consumer compliance—hence the disclaimer. We know our products deliver the intended results for the overwhelming majority of men and women who use them as directed. How do we know this? Because we have witnessed the results first-hand on customers of every age, race, and hair type. Because we've spent over 10 years developing, evolving and continually perfecting functional hair care products just like this. Because the Veta product line was tested, piloted and proven at select A-list salons prior to being launched to the public. As with any other purchase decision, the research you do beforehand will ensure that you get the best possible shampoo for your condition. 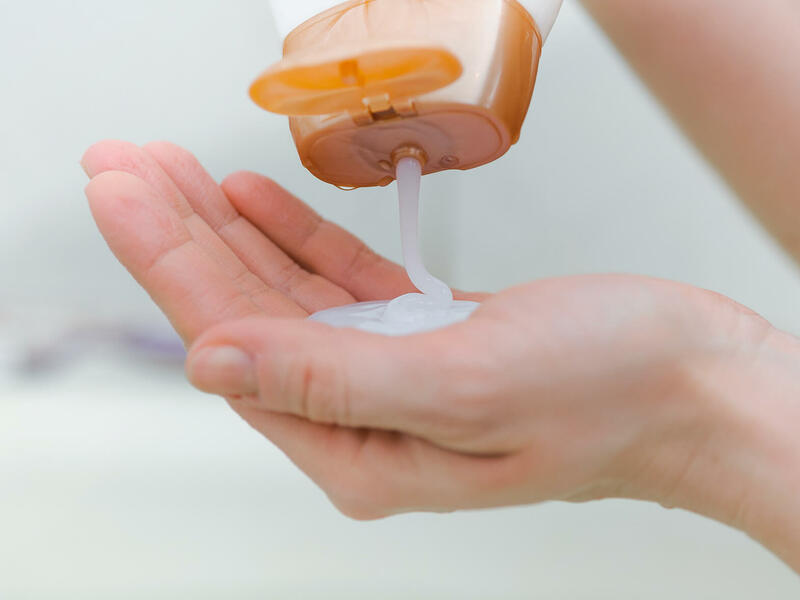 Instead of just buying any shampoo willy-nilly, or based on which you think has the nicest commercial, here are several, important factors to consider, so you can make an informed purchase. Understanding the Active Ingredients – Go deeper than just reading Amazon reviews before buying. Go with the active ingredients that have a proven track record of working, such as ginseng, Vitamin E, amino acids, and B vitamins. Looking for DHT blockers – there are myriad natural and clinically-proven ingredients that fight follicle-DHT sensitivity. Follicle-DHT sensitivity is one of the biggest reasons of hair loss. Free of Chemicals – Choose shampoos that are free of chemicals such as sulfates. Healthy Ingredients – The ingredients should include essential oils, minerals and vitamins. Relevance – Choose a hair loss shampoo that directly targets the cause of your hair loss (if you have a doctor’s diagnosis). Nutrition Issues – If your hair loss is due to bad nutrition, then choose a shampoo that delivers nutrition back to your hair and increases your circulation, so said nutrients travel back into the follicle. Comprehensive Shampoo – In case you aren’t sure as to the actual cause of your hair loss, then err on the side of caution: Choose a shampoo that addresses hair loss from any number of reason. Allergies – If you’re allergic to certain substances, go with a hypoallergenic hair loss shampoo, and always check the list of ingredients in any shampoo you’re considering against your known allergies. Avoidance – Be sure to avoid shampoos that fail to address hair loss, even if they may be marketed as hair growth shampoos. These ineffective shampoos will usually have ingredients added just for conditioning purposes, such as silicones, “pearlizing” agents, or conditioning agents. the prescription-medication route and the hair growth shampoo. Let’s look at the drug-based treatments first. There are really only a few well-known drug-based ways to address your hair loss. In general, drug-based treatments can be helpful when you’re at your wit’s end and have an urgent need to stop your hair loss. For example, when you’re in your later or more advanced stages of hair loss, and you need something strong to take effect more immediately. If you’ve ever heard of the brand Rogaine, then you’ve also heard of minoxidil. Rogaine is one of the many brands this treatment is marketed and sold as. An antihypertensive vasodilator medication, minoxidil that’s topically applied is frequently used to treat hair loss. Approved by the FDA and available in over-the-counter form for both men and women, minoxidil has been found to work in two out of three men. However, and this is a huge problem, if you stop using it, then your hair will actually fall out again and potentially faster than before. Plus, you might not even notice any changes until you’ve been using this medication for at least four months! Finasteride is a pill that you take to halt your body from producing the hormone called DHT or dihydrotestosterone. This hormone has been found to be at the source of male pattern baldness. Brand names include Propecia. Unfortunately, as with the aforementioned minoxidil, you’ll begin to lose your hair again if you ever stop taking Finasteride. Additionally, it may cause erectile dysfunction and other sexual problems in men although that’s uncommon. Men who experience these side effects from taking this pill can reverse them; however, that can take up to three months to occur. One of the best ways to ensure that you make the smartest buying decision when it comes to drug-free hair growth shampoos is to understand the active ingredients in various products. Here’s a brief rundown of some of the most common ones. Typically used in sunscreen, this active ingredient is a UBV-protecting agent. This water-soluble ingredient actually feels light on your skin and provides a non-greasy finish. There are no known bad effects of this ingredient. A typical ingredient in some sunscreens that guards the skin against UVA and UBV ultraviolet light, sulisobenzone helps to protect your scalp from the sun’s damaging rays. Preventing photodamage from the sun, it is safe and been found to have only negligible effects on the reproductive system. Vitamins such as riboflavin and biotin are essential in helping to stop hair loss. Riboflavin deficiency has been linked to hair loss, as has biotin deficiency. B-6 is another B complex vitamin linked to hair loss, so your best bet to battle hair loss is to look for this active ingredient in your hair growth shampoo. Argan oil is loaded with A, C and E vitamins, all of which have been linked to hair growth. When you use argan oil externally as part of a hair loss shampoo, it can help to boost your scalp’s and skin’s cell production, thus causing healthier hair and skin. Argan oil is good for dry, brittle and thinning hair since it guards against you losing more follicles than you’re capable of growing (which makes hair loss noticeable). This active ingredient will address one of the primary reasons of hair loss: sebum. Sebum contains dihydrotestosterone or DHT, which is regarded as the main cause of male pattern baldness. Jojoba oil removes this sebum, thereby assisting in promoting hair growth. Another popular active ingredient, clary sage is known to stimulate your hair follicles. This produces extra blood circulation, which in turn helps to promote hair growth. In addition, it also promotes a healthy scalp, strengthens your hair strands, and balances your scalp oils, all important for stopping hair loss. Look for aloe vera in your hair growth shampoo because it contains amino acids as well as proteolytic enzymes, both of which are instrumental in helping hair growth. Essentially, aloe vera addresses the damaged and cells of your scalp, which helps to induce hair growth. An antioxidant known for repairing and rebuilding tissue, vitamin E lowers inflammation when you apply it to your scalp as part of a hair growth shampoo. It also addresses damaged hair follicles, thereby creating healthier conditions for the regrowth of hair. Believe it or not, caffeine can have a healthy effect on your hair and scalp. It impacts your hair follicles to stimulate healthier hair. In a 2007 study in the International Journal of Dermatology, caffeine was found to stimulate the hair follicles of test subjects, thus playing a role in stopping hair loss and encouraging hair growth. As far as active ingredients in hair growth shampoo goes, procapil works to make your hair stronger. It stimulates the activity of cells in your scalp and hair to help hold cells together; this works against the damaging effects of DHT. It also raises blood flow to your scalp, thereby helping to nourish your hair and increase its thickness. Keravis is an anti-breakage hair fortifier. It’s a vegetable protein that works to replenish and strengthen your hair, so that it’s healthier and able to grow better again. Keravis acts on the fundamental aspects of hair regrowth: tensile strength, cuticle abrasion, and bending modulus. This active ingredient works on your hair follicles, making them both thicker and longer, which helps to stop hair loss. Any damage caused by inflammation in your scalp is also addressed and reduced. Soy proteins have been found to block the damaging effects of DHT, which is seen as a primary cause of male pattern baldness. In addition, soy contains a list of ingredients in and of itself that are proven to be healthy for your hair, ingredients such as B complex vitamins, folic acid, and potassium. Shea butter works in various ways to protect and help your hair. It helps to lessen excessive oil production on your scalp and moisturizes a dry scalp, both of which help to make your hair healthier and promote hair growth. It also acts as a shield from the sun’s harmful rays, protecting your scalp and helping to stop hair loss that way. This anti-apoptotic, a fancy way of saying it helps the proliferation of your dermal papilla cells, improves your hair’s regeneration capacity. Ginseng promotes hair growth by stimulating the flow of blood and nutrients to your scalp. Finally, ginseng helps to boost the health of your hair cells and follicles, helping to stop hair loss. Peppermint oil has a myriad of benefits including antimicrobial, anti-inflammatory, anesthetic, analgesic, vasodilating and vasoconstricting. Its own secret ingredient is menthol; menthol works to increase blood flow to your scalp. Balding usually happens in part because of the reduction of blood flow to the hair follicles. This active ingredient stimulates your dermal papilla cells at the hair follicles’ base, which counteracts premature hair loss. As a result, both hair thickness and volume are increased. Used in Traditional Chinese Medicine (TCM), trichogen features amino acids and vitamins that help your natural hair cycle to recover a normal state. Some of its benefits include hair-growth stimulation, metabolism and cellular oxygenation; a reduction of that oily look; a balance of sebum secretion; and a decrease in itching and dandruff. This active ingredient will stimulate hair growth, boost oxygen consumption, and your mitochondrial respiration. Paraben-free, it boosts the synthesis of collagen and elastin. A bio-organic compound, adenosine addresses different functions in the body. It’s been proven by current research that adenosine applied to the scalp can stimulate hair growth in both men and women. This water-soluble B complex vitamin is an integral part of healthy hair. It metabolizes fatty acids as well as amino acids. Biotin works to make your hair stronger, in addition to fight dryness, hair loss, and breakage. These ingredients have been found to improve hair-transplant success rates, according to university studies. They work to boost your hair follicle size, reduce hair loss, and stimulate hair growth. Inositol makes your hair stronger because it helps it to retain moisture. Researchers have determined that, in lab animals, diets low in inositol cause baldness. Doctors have reported some of the same findings in their patients. This active ingredient has been proven to guard against the conversion of testosterone into DHT (dihydrotestosterone). DHT is a hormone that contributes to hair loss because it shrinks the hair follicles. Although these are the active ingredients that are available in the drug-free products market, the best ones will have high concentrations of follicusan and trichogen. 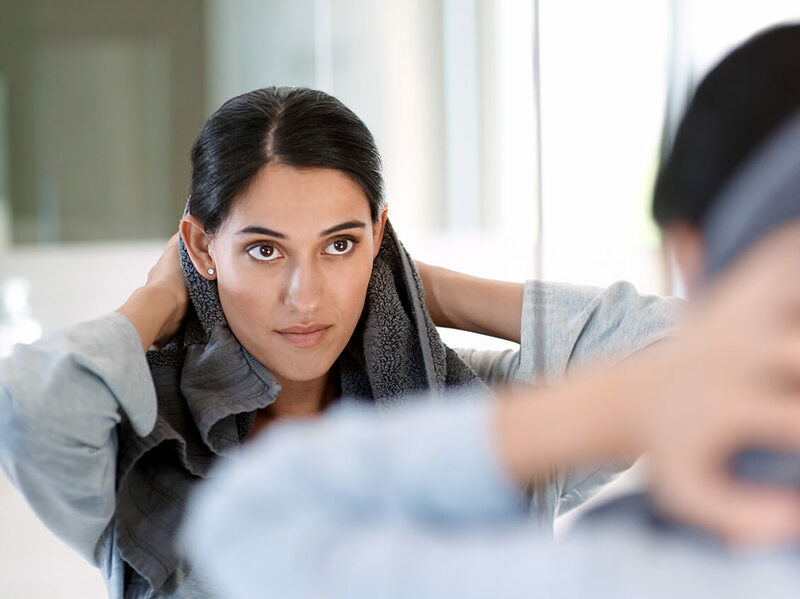 No one wants to deal with premature balding, thinning hair, or outright hair loss, but these conditions affect many people, both men and women. If you’re one of those people, understand that you don’t need to deal with the anxiety and embarrassment of losing your hair. There are many hair loss shampoos on the market that have been proven to work—and they can work for you, too. 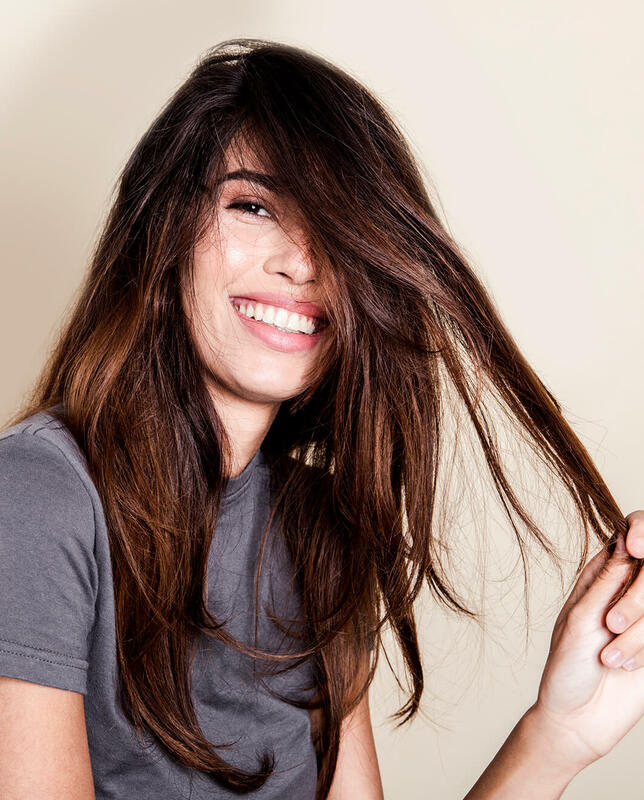 While it’s always helpful to keep your expectations for hair growth in check—you’ll never get a shampoo that works to 100% efficiency—it’s important to realize that you can see improvements with the right drug-free shampoo. 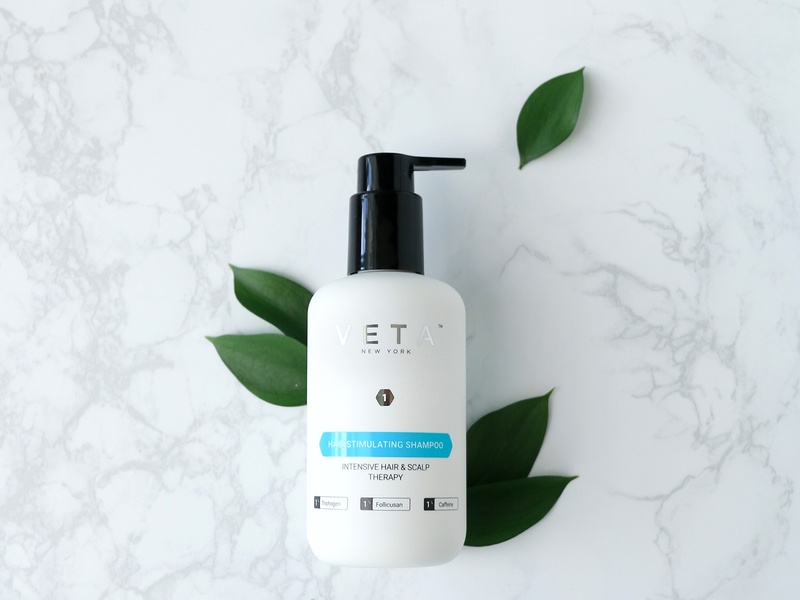 Choose the right shampoo based on its healthy and all-natural active ingredients, such as those found in Veta. These products do work on your thinning and shedding hair. And if you’re wondering, “How fast will I regrow hair with a hair growth shampoo?” Well, that again depends on the cause of your hair loss: genetics, lifestyle choices, environmental triggers, etc... but also on the product’s composition and concentration of active ingredients. 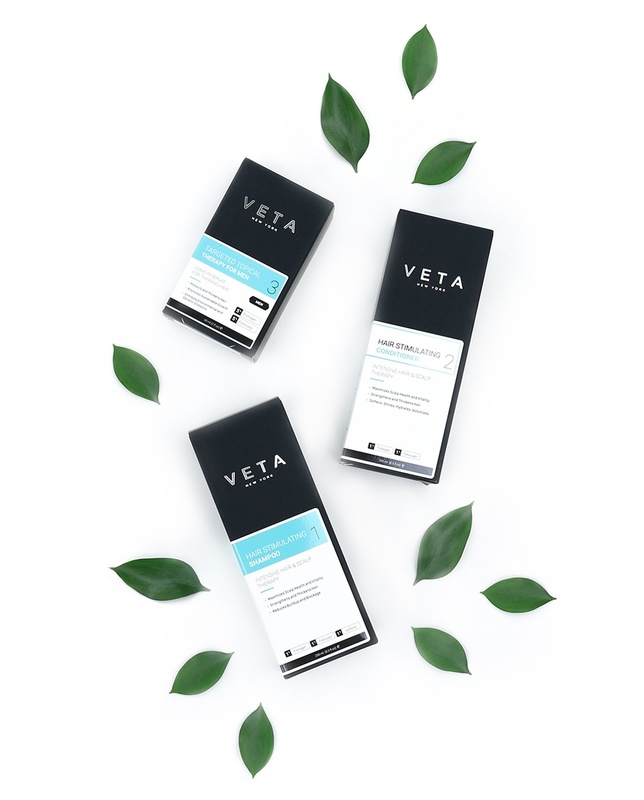 Veta has the highest concentrations of both follicusan and trichogen, which is why Veta products work.